EastmanMAIL is a free monthly e-newsletter for alumni, parents, and friends. To manage your subscription, please e-mail alumni@esm.rochester.edu. This free magazine is published twice a year for alumni, parents, and friends of the Eastman School of Music. 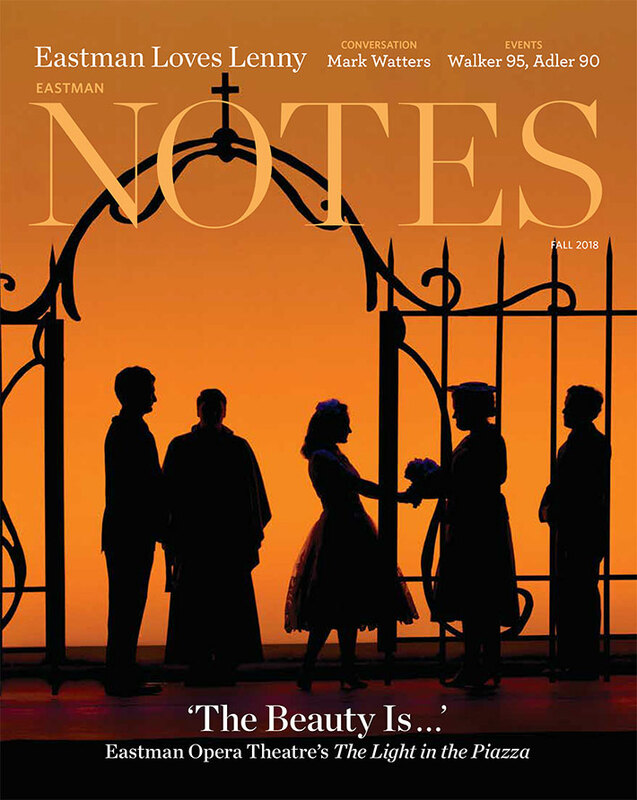 To submit your news any time or to see latest issue plus other past issues visit the NOTES page. Update your information in the Rochester Alumni Exchange so you don’t miss an issue! E-Encore!, the monthly e-mail version of Encore!, lists concerts and featured performances for a given month. It is sent during the last week of the previous month. To receive Encore! and E-Encore!, join the Eastman Concerts Mailing List.